Spring Term 2 Topic: How does your garden grow? 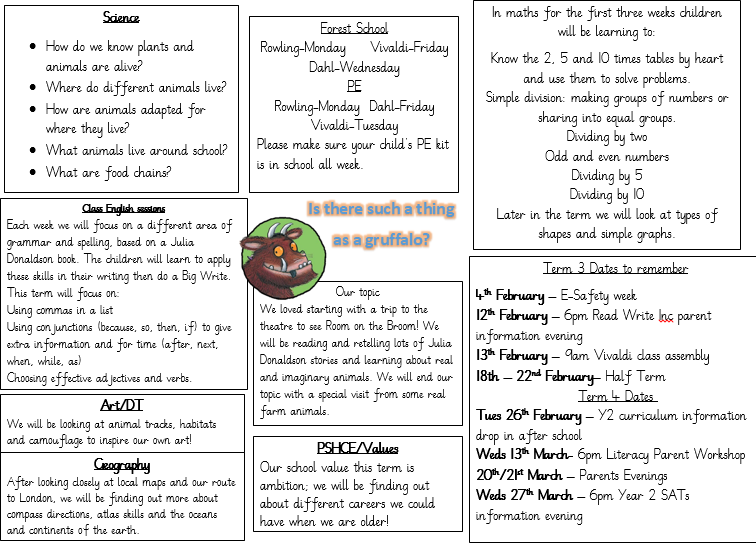 Spring Term 1 Topic: Is There such a thing as a Gruffalo? This term, we will be learning about history within living memory, in our topic "What was Manor like for our Grandparents?". We will be ending our topic with a Tea Party to share our work with any older family friends or relatives. See the letter here for more details. Do you have any interesting pieces of old technology at home, like a rotary phone or vinyl record player, that we could look at and learn about? We will be finding out about artists like Andy Warhol and Bridget Riley in the 1960s, and famous musicians like the Beatles, as well as important historical events such as the moon landing.